Ok, so the logo needs a redesign and registering because it matches someone else. The website has 4 fonts on each page, not consistent style and appalling icons. Never mind, that never bothers anyone?! 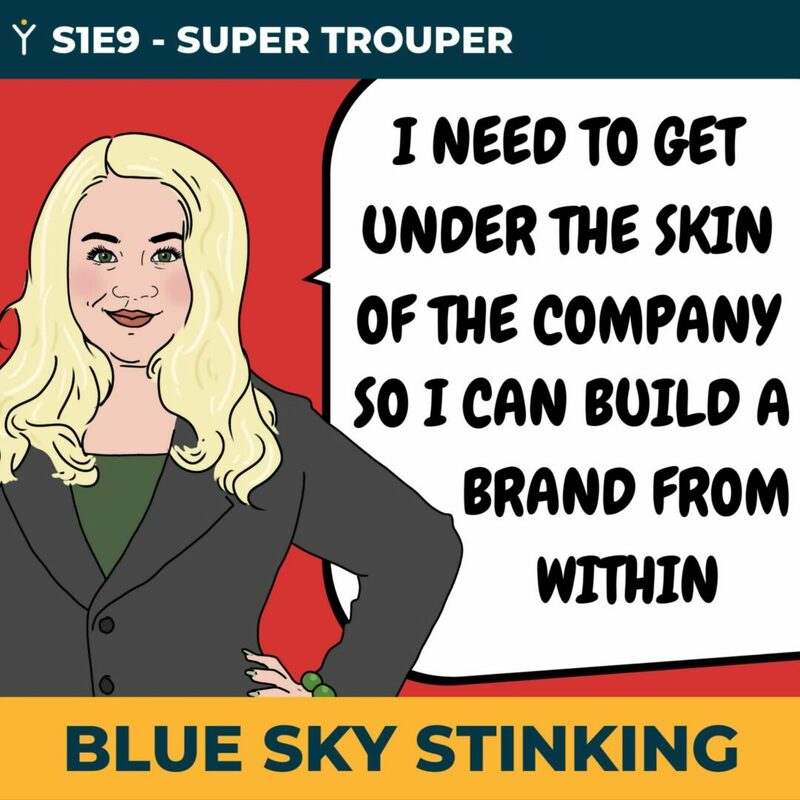 In this episode we consider the dark art of creating a brand. Of what does a “brand” consist? Can you do it yourself? What dangers should you be avoiding? Mike discusses brand with Tom Gamblin from Evident and get’s some top tips everyone should consider in their organisation. 00:19 - Scene 9.1 Can a logo be to super? 10:13 - What makes a brand? 12:45 - Is it all about the logo? 13:15 - Are logos difficult to create? Can a logo be too super? ZELDA: Thank you all for coming to this meeting. We need to get a grip on our marketing, what are your thoughts? BRYOCK: It would explain the tweets we’ve been getting since I posted it. ZELDA: When you say “that needs working on” do you mean getting agreement from Superman? JAKOB: Errr, no? I mean we will need to come up with a new logo design. BRYOCK: So…, don’t get it printed on boxes and stationery then. JAKOB: Definitely not…, wait… Have you had it printed already? 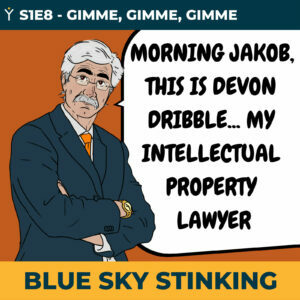 JAKOB: (moaning) Good grief, no. I can’t fault your enthusiasm but we can’t use any of these… Perhaps we can get some printed labels to cover the logo on the boxes maybe? JAKOB: (in resignation) Well, they’ll just have to go to recycling then – perhaps we can just use plain boxes until we get a new logo? BRYOCK: Ok, I’ll order plain boxes and get everything else recycled – how eco friendly are we! ZELDA: (positive and bouncing back) Great, and I’ll come up with something else for the logo then. Moving on, I’ve banged together a website too. Had to remember some stuff from my college course and it’s changed a bit, but I think I’ve come up with a good start. (Throwing it up on the projector). Here you go. JAKOB: Wow, ummm…How many fonts have you got on that home page? ZELDA: Well I wanted a modern look so I used Roboto for the Headings. I thought the main text needed to be friendly, so I’ve used Comic Sans for that and then Times New Roman for the menus and it may be Ariel at the bottom. Looks unique don’t you think? ZELDA: You told me that we had to tighten our belts and that I shouldn’t employ anyone else at the moment. BRYOCK: Is she a marketeer? JAKOB: No, but she may be able to pull a miracle out of the bag! BRYOCK: Oh…I’ll try and contact her. CONTINUITY: Following a long and arduous search, Zelda meets with her new Marketing Guru in her office. ZELDA: It’s brilliant. Just a few necessary things to sort out… You’re surname is… Bubbly? ZELDA: (excitedly cautious) Any relation to the international singing god? MICHAELA: No, my mum did a stack of research when he came onto the scene. She saw it as a sign that our names were so close. However, he’s from Canada and my Buble ancestors hail from Pratt’s Bottom in Yorkshire. ZELDA: Oh… Can you sing? ZELDA: Well that’s broken the ice. Down to business. I explained in the interview where we needed to be. What are your thoughts as to your next steps? ZELDA: That sounds great… Let’s go introduce you around and integrate you into the family. MIKE: Hopefully, Zelda is feeling good about hiring Michaela Buble. Too subtle? Well, he’s hoping Zelda won’t cry me a river over Michaela’s appointment. Okay, we’ll get to the guest for the episode instead of trying to ram Michael Buble hits into the intro. Today, I’m delighted to have Tom Gamblin from Evident agency with us. Hi, Tom. MIKE: Hey. We’ve worked with Tom quite a bit. Tom, why don’t you just tell us a little bit about yourself in Evident and why you’re a good person to talk to us about all things design and brand. TOM: Yes, sure. Evident is a design-led product company which specialize in really quite high-end product based software, so anything that’s with us like an application, anything that users have to interact with or customers tend to buy or purchase, services and products through. We do face a lot of branding considerations with that stuff. It does tend to come up in the day-to-day of what we’re doing because, obviously, it has a drastic effect on how customers perceive products. MIKE: Absolutely. If people want to find out more, Tom, where should they look you up? TOM: We’re on all the social channels and things like that. Our website is www.evidentagency.com. MIKE: Cool. We’ll put a link to that in the show though. Before we reflect on what’s happening at Sydeline, what are your early thoughts on what makes a brand? TOM: It’s an interesting question. I think it’s something that probably gets overlooked. I say overlooked. I think it’s probably approached in the wrong way by a lot of companies. It’s the real significance of what a brand can do for your business. What makes a brand? I would say it’s a really refined understanding of who the customer is. This is probably one of the key things a lot of people tend to get very concerned with the marque that sits on or a little of the logo. The brand is actually an embodiment of the business and what it stands for. Understanding how your customers think and who they are is the biggest oversight that I think a lot of people make. MIKE: Yes, it does. Do you find that people just start and end with the logo and don’t really do anything else? TOM: A lot, yes. It’s really common that that can be the case. A lot of that comes from people– It depends on the business size sometimes and the personnel that’s running that business. I think the tendency is that they think that it’s a lot shorter of a process than what it should be, a brand is. It should be a living and breathing embodiment of the company, but a lot of people do get hung up on on it being just a kind of, “Let’s create a logo.” It can sometimes just become very meaningless very quickly as just a logo. MIKE: I guess logo is just a single element. It sounds like what you’re saying is the brand is an embodiment of everything you do and everything you think about. TOM: Yes. Branding in general is a lot to do with theory and application. The company and the people that work for the company understanding what everything stands for and what the business does, and who it tries to emulate to its customers, is up there as a really high importance. MIKE: Very good point. I guess you can’t pull that stuff just from a single logo or design that doesn’t tell you all those things really, does it? TOM: No. There are a lot very good designers that can knock together a very nice logo. If there’s no real consideration around what it’s supposed to do as an overarching message to customers, then it can become very pointless very quickly no matter how good it looks. MIKE: Nice. Talking about the logo and looking at the approach that Sydeline have taken where they sit over and they’ve come up with looks, and then which looks like a Superman logo and then something gaudy, is it difficult to come up with a logo, do you think? TOM: I think it’s a very gray area on how long it takes to come up with a logo. I think that’s probably one of the biggest confusions that sit around branding, is that– To be completely honest, designers could sit there and they could spend 10 days trying to create a logo, 10 months trying to create a logo, or they could sit in 10 minutes and the first one they create might be going down the right route. MIKE: I was to say it’s really interesting. How many organizations would you say, or your experience of the get-a-customer’s-view on their logo before they decide that that’s it? TOM: It’s a rarity, I would say. Normally, it’s the companies that understand the value of what branding can give to them. They will want to focus group logos or anything to do with the branding. The reality of that is it really isn’t that expensive to do it, and having customers give their feedback into the logo is probably one of the best ways of working in this. It’s one of the best. It’s all around the feedback that you could ever get because I think it brings out a lot of things that don’t come out at board meetings or set around the table. Yes, it really is a rarity. MIKE: That’s a really good tip and a really good piece of advice for anybody thinking about that. We talked about that that’s often a starting point. Are there any tips for what makes a really good logo or a really bad logo? Sydeline decided that a diamond would make it quality and sparkly and things like that, not only the things you would say are good or bad in terms of logo design. TOM: There’s a lot of best practice elements that come into trying, especially if you get a professional designer or a design company doing it, and then the framework around in which they develop the logo and the best practice that should be applied to it. Normally, the sanity checks that you can put on it to understand whether it’s a quality logo or not, text or a logo that has an extreme amount of detail in it might not look very good when it’s very small on a business, or it might not look very good when it’s big. The color that they used in it, they might be really inaccessible. It might be really difficult for certain people to read a big one. I think people overlook very quickly. They seem to find very garish colors or anything that is– It can be really difficult for a certain proportion of the market or their customers to actually buy into it. MIKE: Sure. I think what we’re saying is there’s an awful lot of things to think about, and perhaps doing it in Word or your local desktop publishing application is probably not the best approach. I want to move on from logos. We’ve already said it’s perhaps not the most important thing. What other aspects, specifically a brand, do you think people should be considering? TOM: Understanding the tone of voice of what the company should say. How it actually speaks to customers is important. The actual application of the brand is something that sometimes doesn’t get a lot of consideration. When you go through a branding process, the classic way of working is that they’ll put it onto a letterhead. Some companies will never get it used, considering that a lot of companies are now paperless. They’ll put it on a van or something like that. We’ve seen some real tragic things happen. We’ve become really, really not– We’ve really not thought through the process. I’m not sure if I’m allowed to mention them on the show. MIKE: Probably best not. Just describe the scenario anyway there. Just say it. TOM: For example, the name of the company. MIKE: I think I know what you’re talking about. Is it where the van doors open in an inappropriate way? MIKE: It reads as something else. TOM: …like some men’s genitalia. The application of things is a big thing. Some of those things, they don’t get seen until it does get applied, but obviously having some understanding that it’s got to be flexible as a brand is really important. MIKE: In terms of that application, we said letterhead is not appropriate. You’ve mentioned one there, a vehicle livery as somewhere it might get applied. What other areas should people be thinking about when they need to apply their brand? TOM: As in just what options that they should be thinking of. MIKE: Their whereabouts. There’s obviously printed materials, but are there any other kind of areas that you think we could–? TOM: Yes. When brand guidelines are created for print material– Print material is, I guess, a more of a traditional way of working because things like any color that gets used in it has to be a consideration to the theory of how that works, whenever you print a logo on a poster or any kind of magazine or anything like that. The printer requires a different process to how it’s perceived digitally. MIKE: What areas should people consider about applying it digitally? I guess that’s the website, but there are probably some other places that it needs to go as well. TOM: Obviously, a website seems like probably a more of the common one. In your footer of your emails, signatures and things like that, quite often we see them go in there. Obviously, it depends on what the business is. You might get logos required in adverts and stuff like that, if it’s been recorded on any kind of digital panel. MIKE: Just from a personal experience, we know that putting it in your sales support system and your CRMs, on your outbound emails as your branding, or putting it on your financial statements and invoices, they follow your brand and any number of other systems you might use. They all have these little aspects of configuration that might have a brand aspect, I guess. TOM: Consistency is key with branding. Quite more often than not, having some kind of way of just keeping somewhat of a kind of a ring fence around how the brand is used, where it’s used, and if anything does come up with things like– Email is a really simple one, but like as a CRM. How it looks in there is also as important as anything else. Really, it’s just consistency. MIKE: I guess we’re touching on another area around governance and systems, and how that’s controlled, and the process around that, but that’s a topic for another day. Moving on to what Sydeline have done. They’ve recruited a marketing person, the famous Michaela Buble. Do you think that’s the way ahead in developing your brand and externally facing personas? 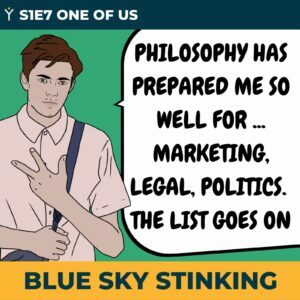 Is a marketing person the best way to go? TOM: I think it’s a route that a lot of companies do take, funny enough. Marketing’s a strange term because it can accomplish a lot and has so many different forms of it. I always believe in the specialist formula of making sure that if you’re having some, wherever it came down to a marketing decision of how should this element be marketed, then a marketing person is the right person to go to. You might not always get the correct skill set from a marketer because, obviously, marketing is quite a broad subject. TOM: It seems to be a route that a lot of companies do take. I wouldn’t necessarily be convinced it’s the right one. Should I say? My take on it would be that you go and find a specific branding expert that understands exactly how branding should be executed and applied. MIKE: I guess it all comes back to understanding your customer and who they are, and what you want to do for them. A marketing person may be the person to do that, but it might be people with other skills that might be better. It might be a copywriter, or a designer, or a user experience specialist, or any number of other skills really. TOM: Yes. Dare I say that it’s very unlikely to get someone that could do everything. Jack-of-all-trades is especially in the creative space, I think it’s becoming a less and less popular term. I think having a real segregation of skills and really understanding what everyone is comfortable and best to be executed is part of the marketing, or the branding, or the product and the user experience is vital. MIKE: Here’s something that we’ve had experience of at Gydeline is doing a bit of a rebrand. We probably had a year of existence within our company before we rebranded, renamed, re-logoed, reestablished who our customers were, and went down a completely different road in terms of service and products and everything really. Is rebranding a good idea? If you think it is, when is it a good time to think about rebranding, do you think? TOM: Well, I can speak very clearly on this because we’ve recently done one. Rebranding, I think depending on the size of the company, it’s a very long-winded process, or it’s something that can be done quite rapidly. It’s very much dependent on the people that are involved. I think having a really clear understanding of the customers that are within your business and also the customers that you’re looking to try and bring in, this is probably the most important thing to understand. Rebranding as an idea, near on every company that I’ve ever known has done some sort of rebrand. You get them at different levels, obviously. You got Coca Cola that will make a tweak to one of the letters in the logo and they’ll consider it a rebrand, or they’ll change the color, skin. TOM: Obviously, relatively to the company they are, that is quite a big and substantial change whereas your hairdressers are down the road doing a rebrand because they want to look a bit more upmarket. It’s all well and good as long as that’s who they’re targeting. MIKE: It’s really useful. I think that the– It probably goes back to what you said at the start of this chat, was it’s starting with who are your customers and understanding them. If your customer wants to see something different, I guess that’s the time to consider it. It seems to be what you’re suggesting though. TOM: Yes. All of those decisions should be driven by some real data. That’s one thing that we’ve always championed the best way we can, is that no kind of decision should necessarily be made on assumptions. It’s more or less going and asking a segmentation of your customer base whether they would like to see a rebrand, whether they like the current brand. That’s a first step in the right direction in my opinion, but it’s everything should be informed by some kind of real data. MIKE: Good stuff. We’re going to draw it to an end shortly, Tom, but before we do that, we always ask our guests to give us some top tips. What would be your top tips for people considering or looking at their organization’s brand? TOM: That’s a good question, top tips. I would say that I would never rush into it. It’s something that you’re better off spending time doing, and de-risking by spending time towards the start and doing a discovery and analysis phase on what your customers want. It’s almost more important than the actual executing of a logo. Mainly because, in part by doing that kind of pre-work, you are de-risking any kind of bad decisions that can be made later on. If there’s no one within the company that necessarily feels comfortable doing it or being involved in it, which is another big problem that can sometimes happen, is people think that doing a logo is easy. They think that anyone can do it. I think it’s a case of everyone having a really comfortable understanding of whether they feel like they can execute this in the right way and that’s going to actually create an impact. If there’s no one there that can do it, then there’s someone externally that can help you. MIKE: It’s a recurring theme we’re getting from me. The people we’re speaking to is get some advice and get some help. I know that’s difficult for small businesses, but you’re probably doing yourself a favor in the long run. Saving that little bit of money is not going to pay off getting those skills and expertise. It’s probably a good thing to do. TOM: Then just going on what you’ve said there is every designer, or every good designer, should have an understanding of being able to create a return of investment for their customers. In the same way that most companies use an accountant and they treat it like they’re saving money by having an accountant, which is what I get it we should do, a designer should have that same approach to the project in the sense that they want to see the logo create impact. Even if you’re a small company, you shouldn’t really be afraid of reaching out to a specialist and asking them what kind of help is there because they will have an invested interest in trying to help small companies, or most of them do anyway, I should say. MIKE: That’s brilliant. Listen Tom, that’s been absolutely brilliant. Great speech as always. 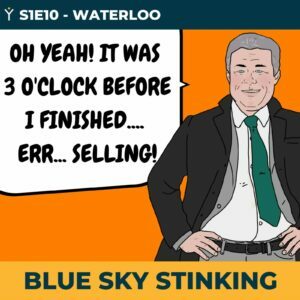 Thanks for taking the time to join us on Blue Sky Stinking podcast. It just reminds me to say to everybody thanks for listening. Please like, share, follow, comment. Tell everybody about it. If you’ve got any ideas for future topics, then please let us know. Until then, we’ll see you next time in Waterloo. Tom Gamblin is a Founder and Director of Evident Agency, a digital product and innovation studio specialising in human centered design and technology. Tom and his team designed the user experience for our software and has a impressive catalogue of household names as customers.